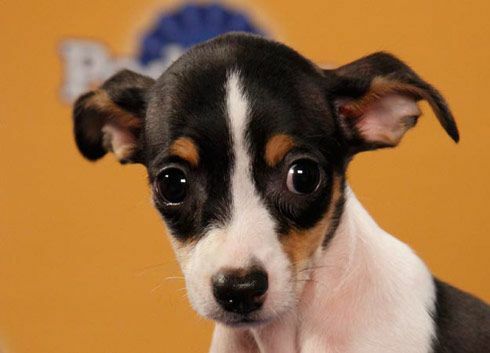 These facts about the Jack Rat Terrier surprise most people. Learn why. The Jack Rat Terrier needs regular exercise. He is certainly not a dog for those who are only looking for a low activity lap dog. In the right family, and with the right training, he will certainly brighten up your days. The Jack Rat Terrier is also known as the Jersey Terrier. He is a designer dog created by mixing the Rat Terrier and the Jack Russell Terrier. This feisty dog is high energy, fearless, alert, and ready for anything. Despite his small size, he is not afraid to act as a guard for his family. He barks quite often at things he doesn’t trust, including the television. He can take on the physical appearance of both the parent dogs. He’s a medium-sized dog with a docked tail, bright eyes, and tall ears. His coat is a double coat that tends to be very short and smooth but sheds often. If you are thinking of getting a small companion dog with a little bit of attitude, the Jack Rat Terrier may be the dog that you’re looking for. Just keep in mind that while this dog is good with children, he does have a high prey drive towards other animals. Early socialization and training is key when it comes to this kind of terrier. Jack Rat Terrier may be the perfect pet for you. What Price are Jack Rat Terrier Puppies? The price of Jack Rat Terrier puppies is approximately $750 to $850. How to Find Reputable Jack Rat Terrier Breeders? Finding a reputable breeder may sound like a daunting task, but it’s something that you need to do if you want healthy and well-adjusted puppies. Reputable breeders guarantee that you are getting a healthy and well-socialized puppy from a registered breeder. When you buy from a good breeder, you are aware of who bred the dog and who you should contact when there is any problem with your dog. There are no major health concerns for puppies from a reputable breeder because they take care of the breed-specific characteristics. You are getting a puppy born to well-bred and properly trained parent dogs. A puppy bred by a reputable breeder is free from genetic disorders. This rules out long-term and major health problems in the dog, saving you from future healthcare expenses. You may ask for pedigree, puppy papers, and certificates confirming good health and purebred features of the puppy and his parents. You are assured of getting the best value for your money because you are purchasing a puppy without poor quality bloodlines from someone who loves these dogs and does not have the sole motive of earning profits. Check the national breed club or kennel club’s website to find out registered breeders in your area. Visit dog shows to meet the breeders personally. You can also get in touch with your vet to know about good breeders in the area. The Jack Russell Terrier parent certainly defines the term adorable. These dogs were first created in the 1800’s when Jack Russell, a student from Oxford University, fell in love with a Terrier. As an avid fox hunter himself, Jack used his newly acquired terrier to develop a fox terrier line that was known for its ever-present skill and passion to follow foxes. The Rat Terrier parent is one of the rare dog breeds to claim being created in the United States. Originally, this breed was created to work as a farm dog with jobs such as hunting vermin and small game around the property. His ancestors include dogs like the Fox Terrier, Beagle, Italian Greyhound, and Whippet. Jack Rat Terrier is moderately easy to train. The Jack Rat Terrier is a medium dog weighing 20 to 26 pounds and measuring 13 to 18 inches tall. He has ears that are triangular and eyes that are brown and almond-shaped. He has a muscular body but a small chest. His coat is double layered with short and long hair that’s smooth to the touch. Common colors of the Jack Rat Terrier include brown, blue, tan, and black. He will shed to a moderate degree, so you need to be prepared to clean up after him. You may want to have him trimmed or clipped in the summer months. When it comes to bathing, just do it when he becomes especially dirty and needs one. Overbathing can lead to skin problems. Use only dog shampoo. His teeth should be brushed two to three times a week. Her ears also need checking once a week and wiped clean using a solution or water. Finally, his nails will need clipping when they get too long. How Big is a Full-Grown Jack Rat Terrier? The Jack Rat Terrier stands 13 to 18 inches in height and weighs approximately 20 to 26 pounds. What is the Life Expectancy of the Jack Rat Terrier? The life expectancy of the Jack Rat Terrier is 12 to 16 years. Jack Rat Terrier will do best if he is in a suburban area because of his barking. The Jack Rat Terrier is loving and affectionate with his family. He’s a gentle and clever dog. He has a stubborn side, but he’s brave, energetic, and full of life. He’s good at sensing your moods just like the Rat Terrier, but he’s a little less intense. What’s quite amusing about this dog is that he has so much energy. Whenever outside, he loves engaging in all kinds of physical activities. But indoors, he is quite happy being a lazy dog, chilling in your lap, or curling up on the couch or your favorite chair. He has a good sense of humor and still retains the hunting instinct from his parent dogs. His zest for life is infectious. He can also be used as a working dog as well as a companion. The Jack Rat Terrier is moderately easy to train. He’s smart, but he can have a stubbornness that may interrupt his training every now and then. Keep positive with your methods. Be firm and consistent. It might also be more effective to make training sessions short and interesting so that he does not lose attention and become bored. Early socialization and training are important to see him become the best dog that he can be. It also helps in his interactions with strangers, other dogs, and other pets who he may lean towards chasing. The French Spaniel is one high-energy dog. You will need to feed him high-power fuel food. A homemade diet of fresh meat and vegetables would be the best. But for many owners, this is just not possible. If you are going with a commercial food, be sure that the kibble is high quality. How Much Exercise Does a Jack Rat Terrier Need? The French Spaniel is a very active dog and will need plenty of exercise each day. It should be at least an hour, consisting of two long walks and some play time. He loves to play games, run, and chase things. It’s important to give him the exercise he needs to avoid boredom, which can lead to behavioral problems. Ideally, he should have access to a medium-sized yard to play in. Though he can adapt to an apartment if still given enough exercise. 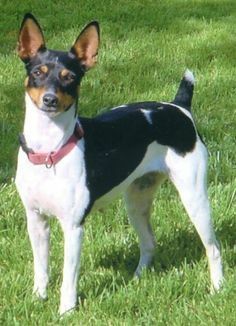 The Jack Rat Terrier has the small potential of having the same health issues that his parents have. These include demodectic mange, patellar luxation, Legg-Calve-Perthes Disease, incorrect bites, allergies, eye problems, and deafness. The Jack-Rat Terrier is definitely a firecracker waiting to happen. His energy is contagious and when he gets going, it may be hard to make him stop. This doesn’t mean that he is aggressive or bad with children. It simply means that he may be a bit of a handful to contain. He will do best if he is in a more suburban area as barking can be an issue. Despite his overexuberance in some areas, the Jack Rat Terrier is a sweet, loyal, intelligent, and playful dog. He is moderately easy to train and should be an easy enough pet for any level of experience. While the Jack Rat Terrier is great with children, it is important to note that he does best when raised from a young age with those children. The same thing goes for other pets in the home. 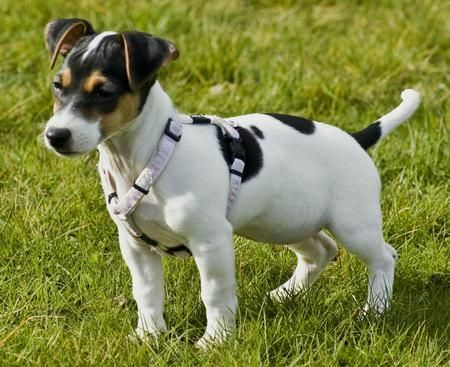 If you are looking for a companion dog who will love to get out into nature and explore the world with you, but who is also small enough to live in different sized homes, the Jack Rat Terrier may be the perfect pet for you. While he may be a handful at times, he will love you unconditionally and be a great friend for his entire life.